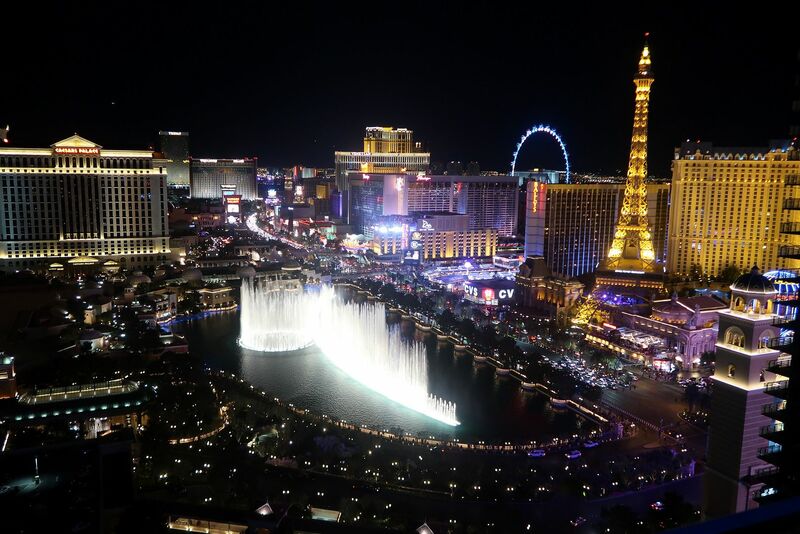 We stayed at the Cosmopolitan hotel which is located opposite Planet Hollywood, we found this to be a really central location and easy to get to everything within either walking distance or a very short taxi ride. This hotel was recommended by Virgin Holidays as part of our trip, but I really loved the look of it and I am so glad it lived up to its expectations. We even were given a room upgrade to a suite (yep, room upgrades actually happen!) which was pretty spectacular. It was bigger than my apartment in London, so you can understand the excitement. 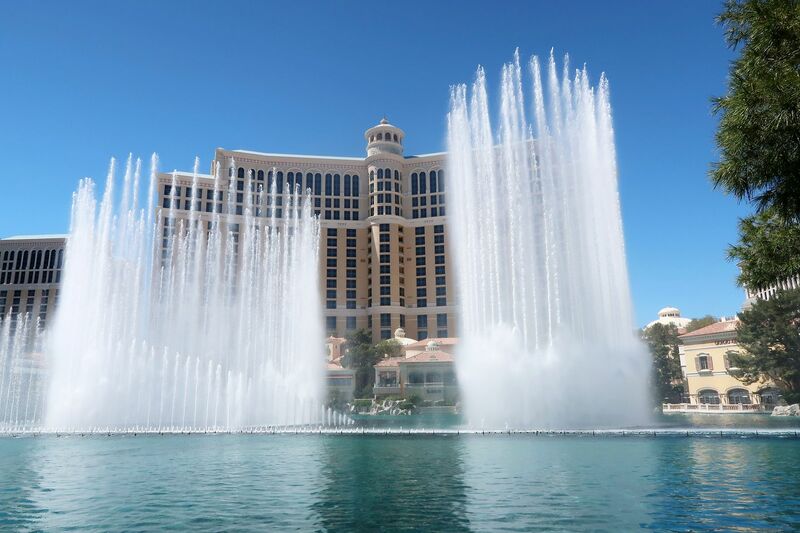 Our suite came with a fountain view and looked over the Bellagio foundations, which looked amazing at night lit up. There is of course so much choice when it comes to eating out in Vegas. If you’re not too fussed, then take it easy and go where you’d like. But if you’re a bit of a foodie like me, then scope out where you would like to eat and what hotel it is based in. Whilst we were there I had a birthday dinner at my favourite restaurant Hakkasan located in the MGM Grand Hotel and also hit up EggSlut, which I never managed to visit in Los Angeles and as it was based in our hotel there was no excuse. 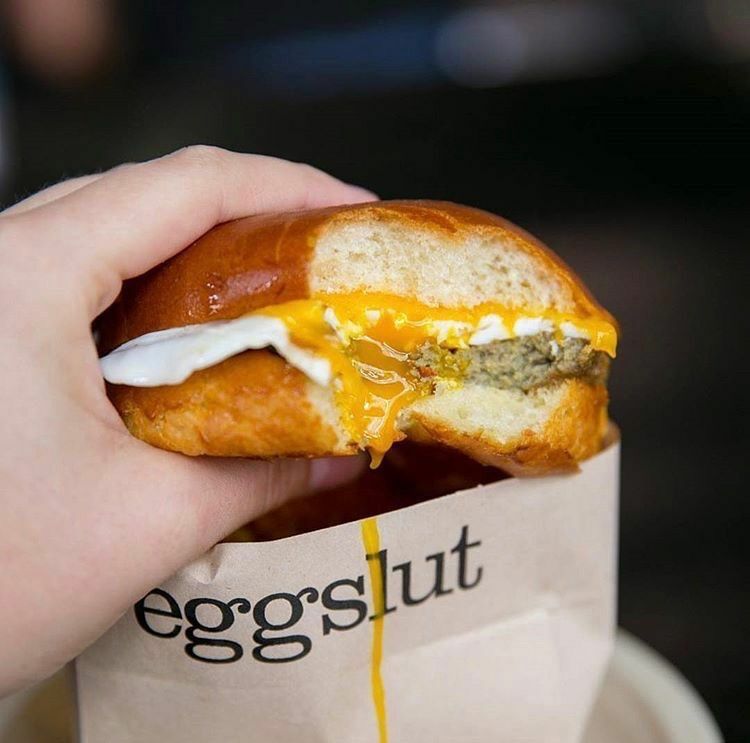 EggSlut does the best greasy egg and bacon buns, everything you could need when you have a hangover in Vegas. This is a pretty obvious one, but I would recommend booking your tickets for shows before you go, so you get the best seats and also helps you plan what shows you want to see. I was lucky that Britney was playing on the weekend I was there at Planet Hollywood, but she only plays certain dates and alternates between currently Jennifer Lopez and the Backstreet Boys. So if you are looking to see a certain performer, maybe check what dates they are playing and see if they coincide with your travel dates to avoid disappointment. I am so glad I visited the Drybar in Las Vegas. It was located right opposite our hotel and saved me so much time doing my hair for the evening. The blow-dry bar is crazy fun, with loud music and cocktails and drinks flowing, I’ve never been anywhere like it. My hair lasted all night and well into the next day – shame I was flying home. So I’d recommend having it done at the start of the weekend so you don’t have to bother with it at all. Most likely the best blow-dry I’ve ever had. Being surrounded by casinos 24/7 it’s hard to resist playing. I say set a spending limit. Don’t let yourself get carried away and if there is a group of you, make sure you all stick to it and help each other not to get too carried away by the gambling, especially when your up and winning – I know this all too well. The slot machines are a fun and an easy way to stick to a budget compared to the table games and the waitresses will also offer you free cocktails whilst you play. Of course though have fun and good luck. The strip is LONG. What may seem a short walk is probably really not. Thinking I could walk in heels from the Cosmopolitan Hotel to the MGM Grand Hotel was wishful thinking and Uber was called in so I could head back and change my shoes. So I recommend downloading the Lyft or Uber app so you don’t have to wait in long taxi queues. They will stop at the ride pick-up spots which are clearly marked. Every hotel is huge and you can easily find yourself lost at the wrong exit, when the pedestrian walking area is on the other side, so I even found the app was useful for finding the correct spots for pick up. Make sure you also leave a little bit earlier than you planned as traffic in Las Vegas can be very busy. One good thing is the airport is only 15 minutes from the centre of the Las Vegas strip so it’s accessible and cheap enough by cab. Use my Lyft code for $ off your first ride PAULA21460. Have you got any tips for visiting Las Vegas? I’m so pleased you had a lovely birthday in Vegas! It’s such a fun place. You were so lucky getting to see Britney, she wasn’t playing when we went, but we did get to see Mariah Carey instead and she was amazing too. It is! It’s crazy, I really didn’t know what to expect at all. Oh Mariah would be amazing too, would love to see her! I’d love to go back to Vegas! Such much fun and I definitely agree about finding good restaurants and a decent blow dry bar!